We Build And Optimize Websites For Roofing Contractors. Since 2008 we've been working with roofing contractors to build them better websites and help them look more professional and generate more and better quality leads. 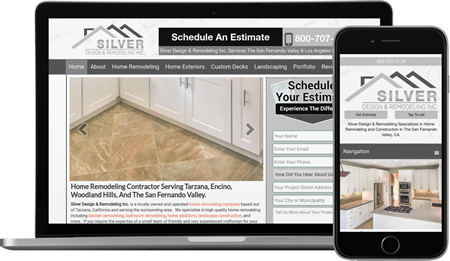 We help roofers by helping them transform their Internet Marketing presence with a beautiful website and cutting-edge SEO so they can rank well in their local market and compete with other established roofing companies. We're a team of professionals that know Internet Marketing for a roofing company inside and out. You're a roofing contractor, you have projects to manage, employees to manage and keep busy, a family to support, and many other important tasks you need to give attention to each day. The last thing you want is a lazy web developer you need to manage too. We get it, we know you don't have time to learn Internet Marketing like we have, and you don't have too. When you work with us we'll take care of every aspect of your online marketing and you won't have to babysit us. We're proactive, and we are always available for our clients whenever they need our expertise. Our goal is to get you better clients for your most profitable roofing services, simple as that. Our Goal Is To Build Your Roofing Website Into A Local Lead Generating Machine To Help Grow Your Business. We Concentrate On Building Digital ASSETS Not Websites. What's Holding Your Current Site Back? Get Your FREE Roofing Website Analysis Today. We'll go through your current roofing website from top to bottom, we'll check out your competition and we'll let you know exactly what it's going to take to compete in your local market. Are you struggling to get the best clients for your roofing business through your website? 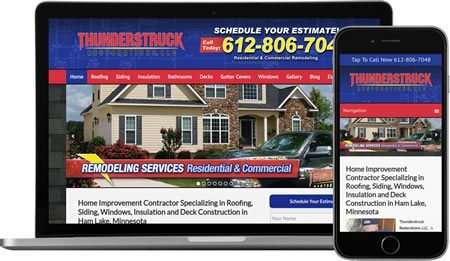 We design/build great looking websites that help our roofing contractors generate more and better quality leads for their business. Your roofing website is only as good as the new business it brings in for you. We can take care of your local Internet Marketing campaign and get your website ranked alongside your competition no matter how big or how good they are! Turn Your Website Over To A Team Of Professionals. Your website needs to be updated if you want it performing at it's best. This means adding new project photos, client testimonials, and informative blog posts that help educate, build trust, and confidence with your potential clients. 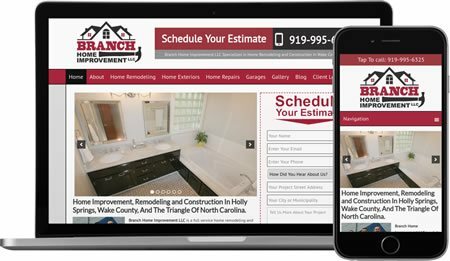 Many Roofing Contractors Waste THOUSANDS Of Dollars On Poorly Built Websites & Badly Implemented Online Marketing Before Finding Us. We follow a proven system that we know works like a hot damn for our roofing contractors all over North America. We want to know about your local market, who you're competing with, what your most profitable roofing services are, and what specific cities, towns, or suburbs you'd like to get projects from the most. Once we understand who you compete with, what your most profitable services are and what areas of your city/state your best customers are at, we build your site to target these specifically. Once we have a live and working website then we get to work immediately on your Internet Marketing campaign. We're aggressive and fast because we know you need results. With proper tracking and analytics in place we test, track, go through the data, and tweak your website and online marketing until we're getting the best possible results for your business. Once You Hire Us We Won't Work With Any Other Roofing Contractor In Your Service Area. We Work Exclusively For You! No matter how nice your roofing website is or how much of your hard earned money you've spent on it, if it's not setup to present your business as trustworthy and found by potential clients, it's a digital paper weight. There are many web developers selling roofing contractor websites and they have little to no idea what actually makes a roofing website rank and convert visitors into leads. You don't want to waste your money on somebody who is just throwing mud at the wall, hoping some will stick. If you've already spent your money on one of these shady web developers then we're preaching to the choir as you already know the financial pain it's caused for your business. It's the cost of lost opportunity. Our strategy to get a website to rank in search engines and convert your visitors into leads starts with the website design and your targeted content. We don't build little 5 page rinky dink websites, those don't work anymore, and your competitors that have those little 5 page websites certainly can't compete with the 30-50 page fully optimized website we'll be creating for you. To protect your investment we offer regional exclusivity, meaning once you've hired us, we won't work with anyone else in your area that competes with you. They'll have to search high and low to find a solution this effective because we won't be available for them to hire. If you want the best clients you need to have a GREAT looking website. It must be easy to navigate, it must showcase your best work, and it must convince your visitors that you are the best remodeling contractor in your area. Your website needs to be responsive and work well on all types of mobile devices including laptops, tablets, and smartphones. We make sure your website looks awesome and is easy to navigate on every type of device. You'll have a beautiful photo gallery and your remodeling project photos will have proper filenames, proper image meta-tags and be optimized and resized for fast loading. An opportunity wasted by many of your competitors. We make it super easy for your website visitors to become new leads for your business by strategically placing bold calls-to-action throughout the website. This includes contact forms and tap-to-call buttons for mobile users. We make sure every page on your website has a logical and descriptive URL structure so it's easy for Google to understand your pages and easy for visitors to find them and understand what they are about when they search. Ater your new roofing website has been completed we begin your off page SEO campaign. "Off Page" SEO is what happens "off" your website and involves items like social media profiles, local citation building, targeted backlink building, community outreach, local publicity, and analyzing your top-ranked competitors websites (for more opportunities). We spend many hours of time on this aspect of your Internet Marketing. This is one area of Internet Marketing where it's extremely easy to be taken advantage of because you really don't know what your web guy/gal is or isn't doing. We document everything and provide it you! Here's What To Expect With Your "Off-Page" Optimization. We Can Help Your Roofing Website Get Ranked For The Following Popular (And Profitable) Keywords That Homeowners Search For! If You're Roofing Business Isn't Being Found You're Missing Opportunities! This Will Be One Of The BEST Investments You've Ever Made Into your Business! Do You Meet Our Qualifications As An Ideal Client? We only want to work with roofing contractors who see the value in our service, who understand what great marketing can do for their company. And they don't mind paying for quality, and excellent customer service. If you're looking for the cheapest website solution to implement quickly, that's just not us. If you're looking for a team that knows and understands what it takes to get your roofing company website generating leads, you've just found them! We only want to work with professional roofing contractors who take their trade seriously and care about their image. It makes our job easier when you're a great communicator and we can build a better, more thorough website for you. If you have many great photos of your completed projects we can build a better looking, more credible website for you. If you're serious about growing your business and getting better leads you'll understand why our approach is so effective. Great Marketing For A Roofing Contractor Doesn't Come Cheap Or Fast! If you've read this far you've probably already figured out we're not the cheapest website development and Internet Marketing team around. We certainly aren't. We charge a premium for what we do because we know how effective it is for our clients businesses. While what we do isn't cheap, we make it easily attainable though by offering a down payment and financing option for a period of 12 months. This means we'll build and launch your website and begin optimizing it right away, before you've paid for the package in full. We're committed to helping your business create the cash flow you'll need to pay us. Sorry we don't put our pricing up on our website. We don't have a one size fit's all pricing structure. We charge our clients what we know we're worth and for most roofing contractors who are good at what they do they can pay off their website with just 2 or 3 good projects received through the website. The majority of our roofing contractors are spending between $5000 - $20,000 per year on their solution with us. We only ask for a 50% deposit and the remainder can be financed, interest free, for a period of up to 12 months. You'll have a shiny new website up and running in about 2 weeks. We'll take care of the design, look, and feel and then we'll write all of your content. Once complete we'll submit it to you for review and we'll make any changes or edits that you'd like. We Do! With a 50% down payment you can finance the remainder of your website and SEO package interest free over a period of 1 year. (12 equal monthly payments). Nope, it wouldn't be very responsible if we did that! The Internet is a marketing medium that is constantly changing. We keep on top of the changes and what we do has been extremely effective for our existing remodeling contractor clients. Are You Ready To Kick Your Roofing Companies Internet Marketing Into High Gear?